Winter usually means dark lipsticks and lots and lots of red. But lately I have found that I am loving a bit of brightness. I’ve been loving magentas, fuchsias and orchid like pinks and I have been wearing them loads these past few months. That is why I decided to do a video on my 6 favorite picks for wearing bright colored lipsticks in the winter time. 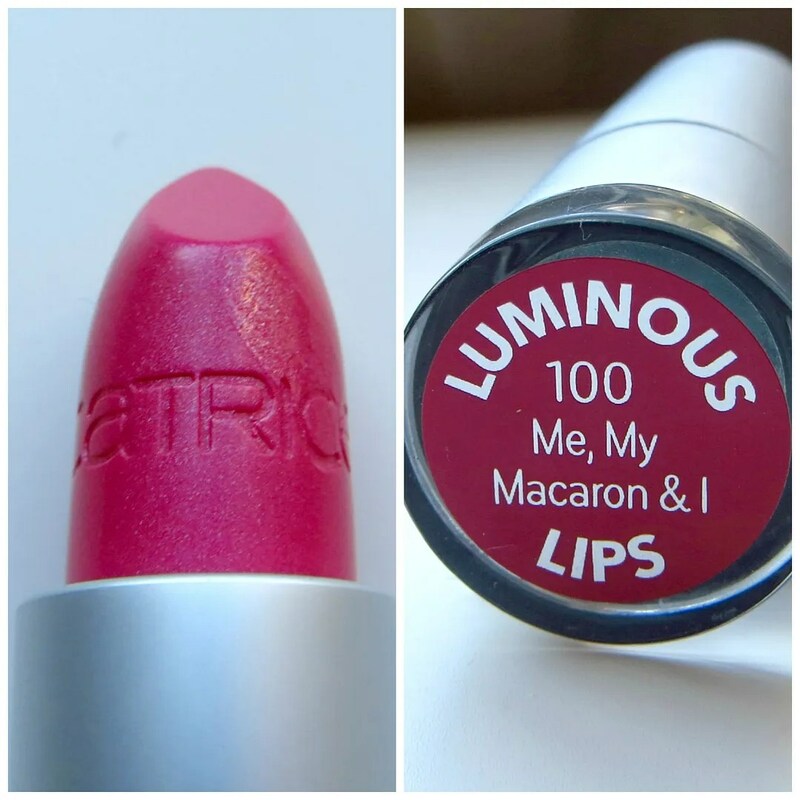 It’s mid-way February which means Catrice has some new products out! Wait what?! If you missed the memo, I posted a video last Saturday where I show you all the bits I picked up from the Catrice Spring/ Summer 2016 range. 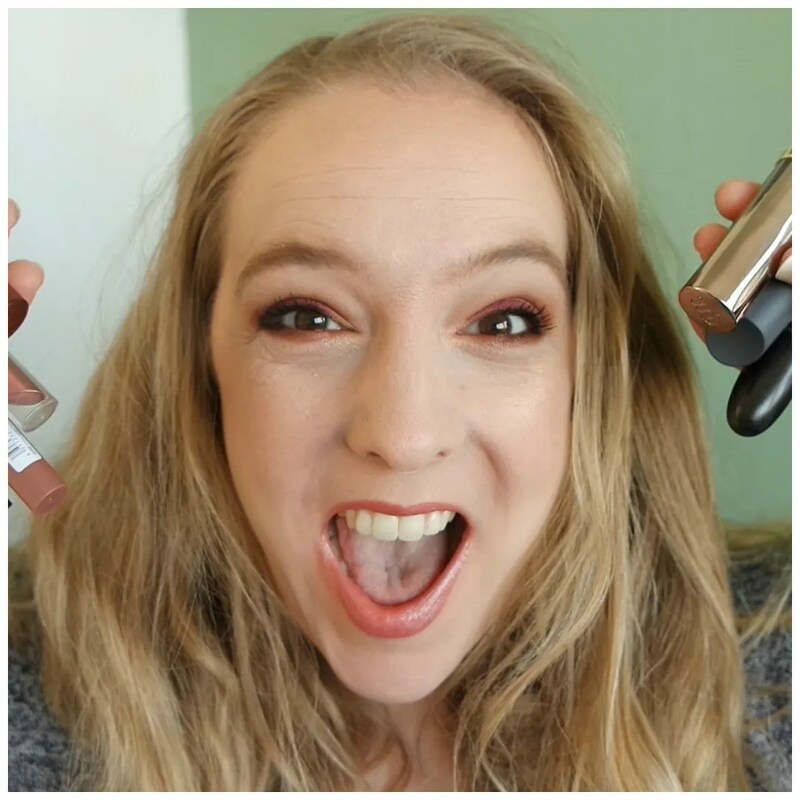 I thought I’d start reviewing some items pronto and I figured: what better way to start than by reviewing some new lipsticks? So here it is! There are 3 new shades from two existing lines and one from a completely new one. 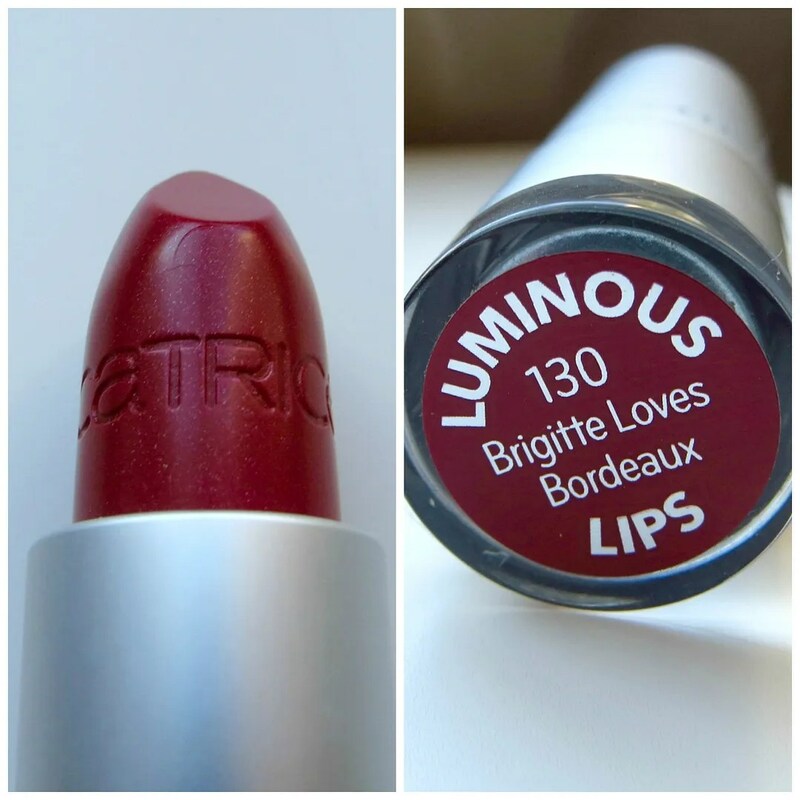 Last week I spotted the renewed Catrice line and part of that renewal are the Luminous Lips lipsticks. I posted a first impression last Saturday, but I hadn’t tried them properly just yet. 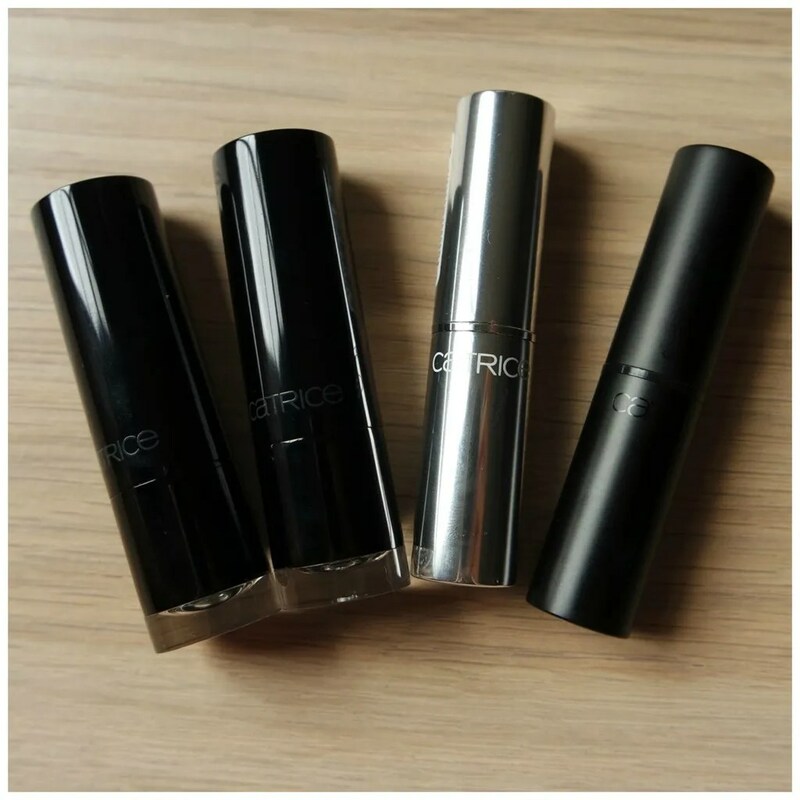 I picked up three different shades of this new lipstick range which replaces the Ultimate Shine line. 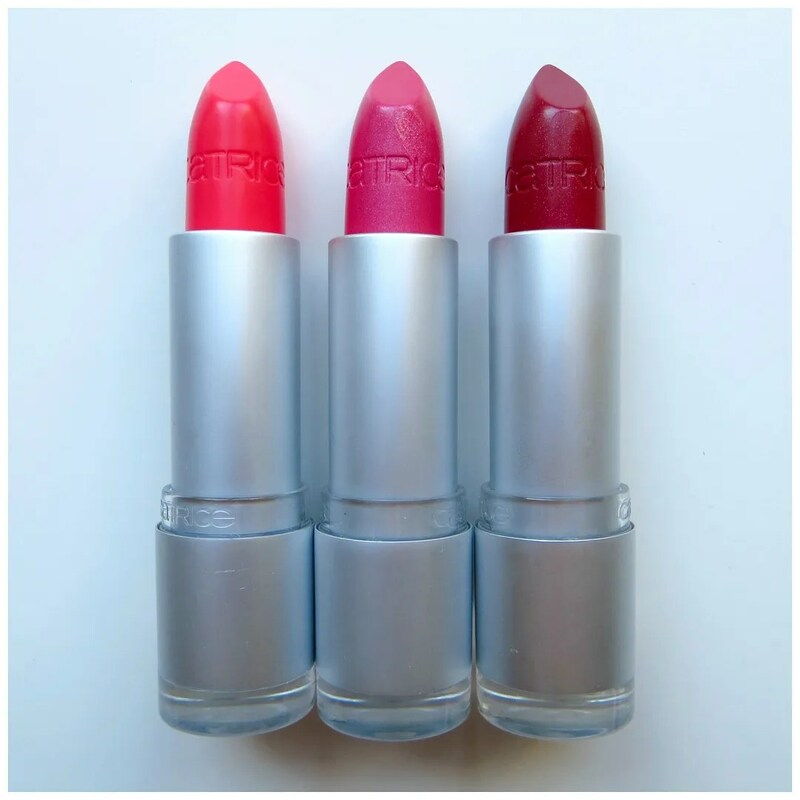 These lipsticks are brand new and claim to be soft and smooth. The finish should be semi-sheer and they cost €3.99 a piece. In total the Luminous Lips line includes 14 different shades, half of which are nudes. I am not a big fan of nudes and only about half the line was at my store when I picked these up so I had limited choice. However, upon doing some online research I figured these three would be the shades I would have liked most even if I would have had the entire range at my disposal. I went with a bright coral pink, a purple fuchsia and a berry red shade. The packaging is absolutely stunning. The bullets are made of a matte silver plastic and feel pretty heavy. Fairly luxurious for a drugstore brand! 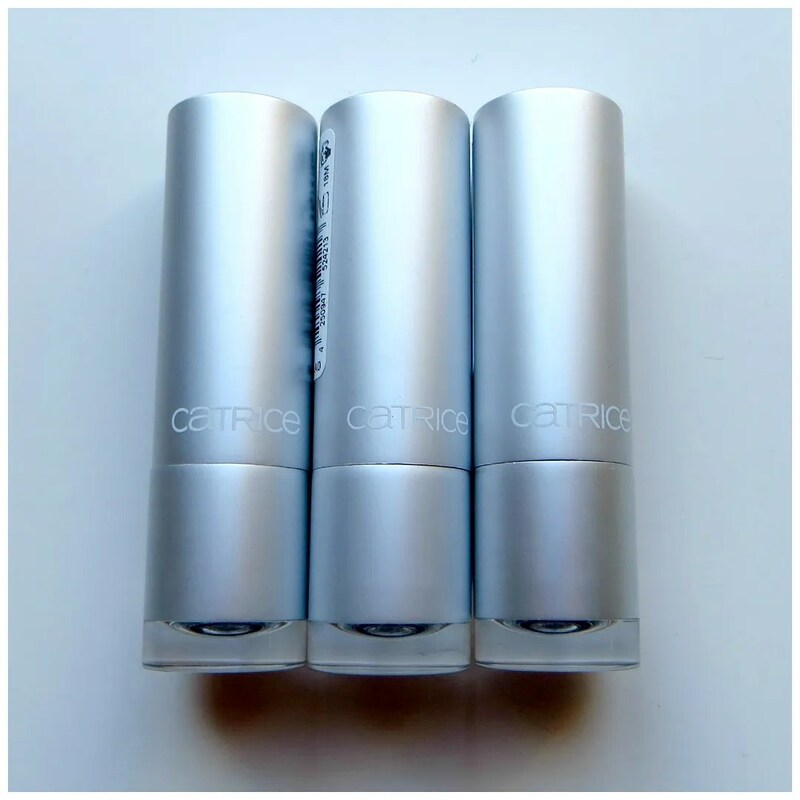 Other than that, these lipsticks look and feel the same as any other Catrice lipstick, packaging wise. 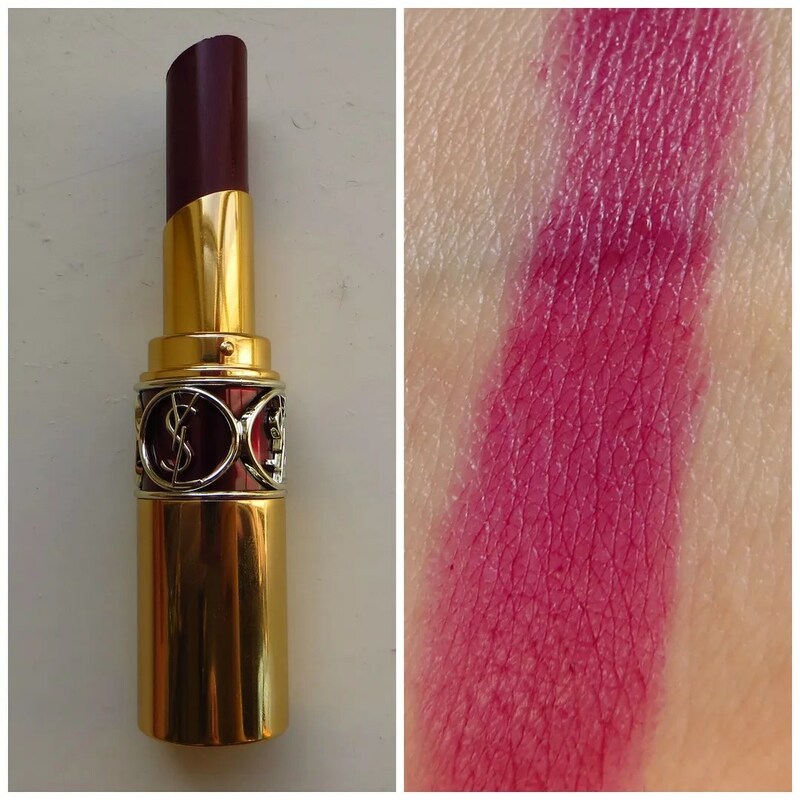 The name and color can be seen on the bottom of the lipstick and the name is printed on the side of the packaging. 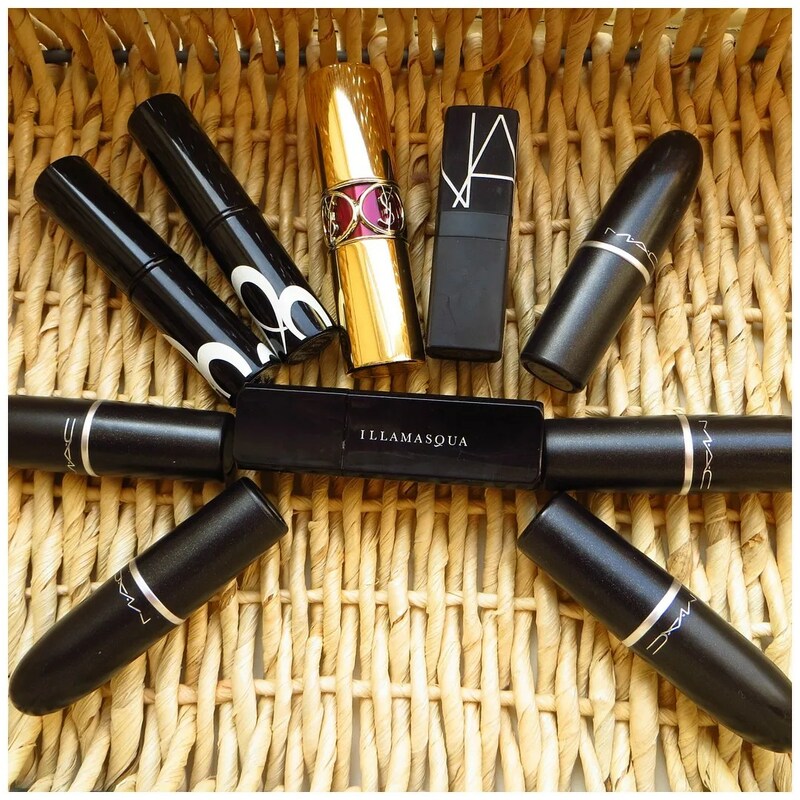 The lipsticks close with and easy snap. The only ‘problem’ is that the lid doesn’t seem to perfectly line up with the bottom. As you can see in the picture above, especially the left lipstick is a bit crooked. I say problem, but of course this is just a matter of aesthetics. When I first saw these in stores I was skeptical. I read somewhere that these should give off a sheer to semi-sheer finish and those shades never really work for me. So at first, I almost skipped these. But then I found some testers and tried some on my hand. 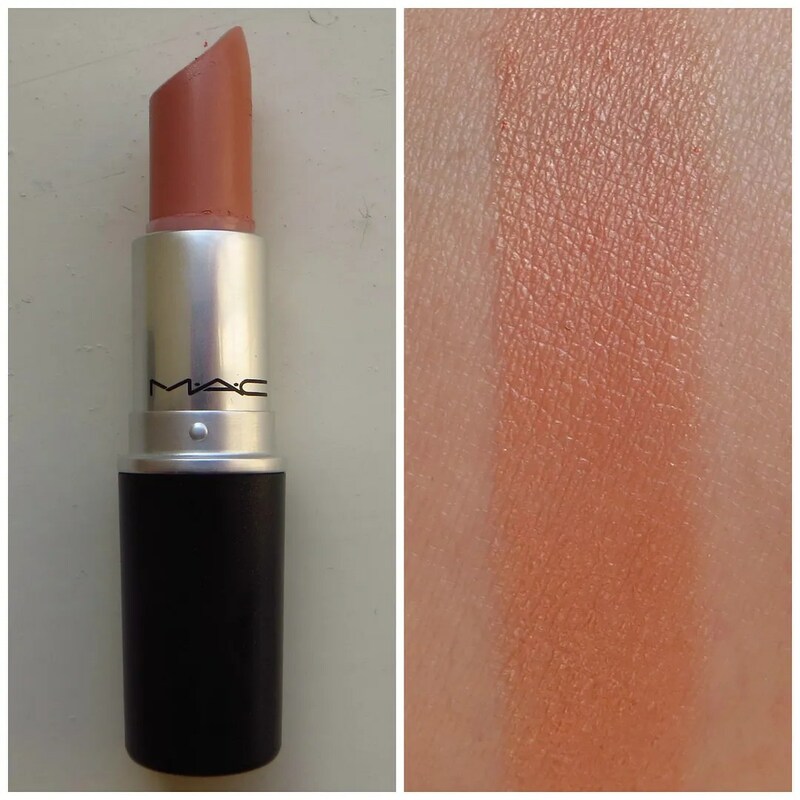 I was surprised by the color pay off (semi-sheer indeed) and the incredibly creamy smooth texture. This seemingly bright coral pink seems to be bordering on neon, but in fact, this isn’t as bright on the lips as it looks in its packaging. So important to bear in mind when you see these is that the color you see in the stick is not as intense or scary as it may seem at first sight. 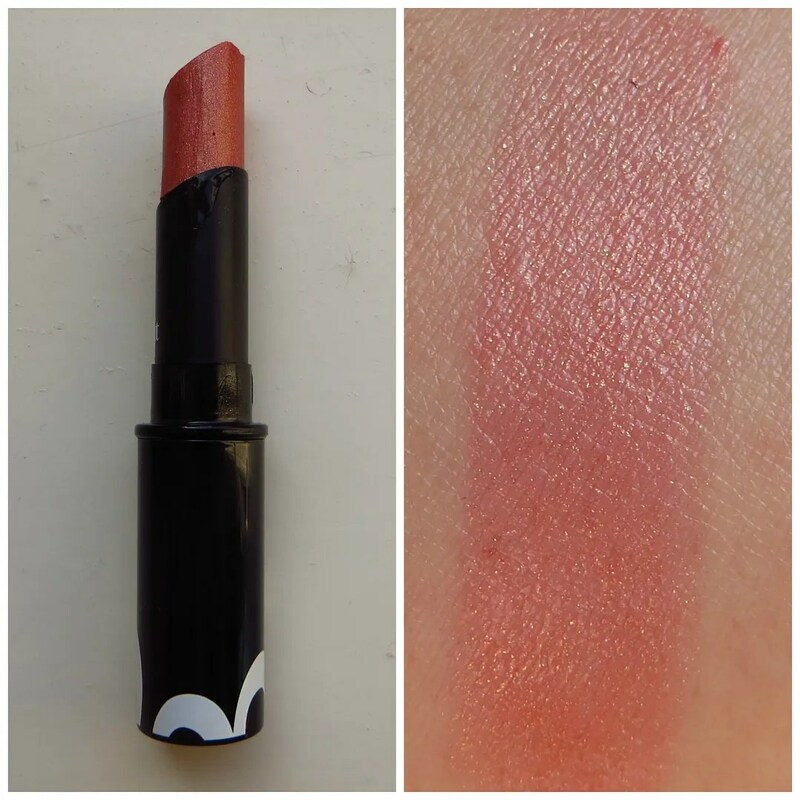 Number 080 has a completely creamy finish and is void of shimmer. 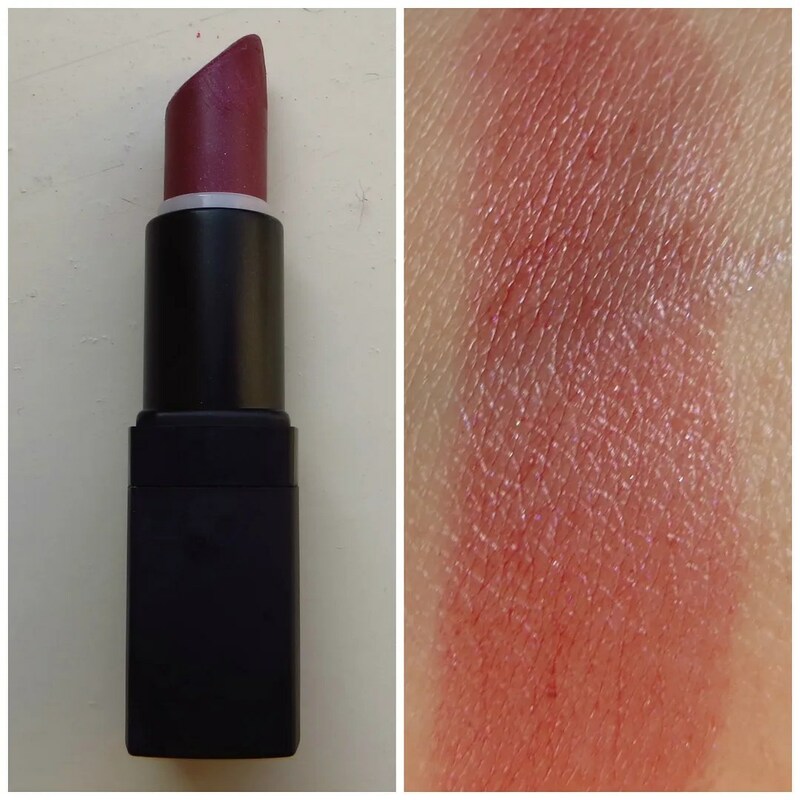 This color shows off how shiny these lipsticks are. In the store I didn’t pick up on the subtle blue shimmer in this lipstick, but especially in this picture you can see it is most definitely there. I guess it depends on how the light hits it. 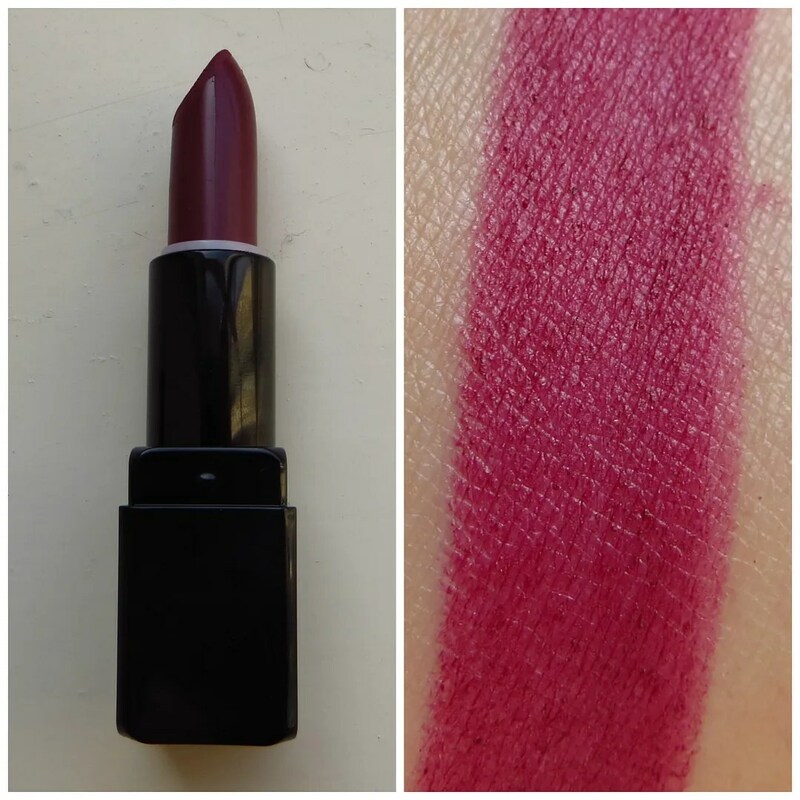 The shimmer is very subtle though and so this lipstick goes on as the pretty purple toned fuchsia pink it appears to be at first sight. 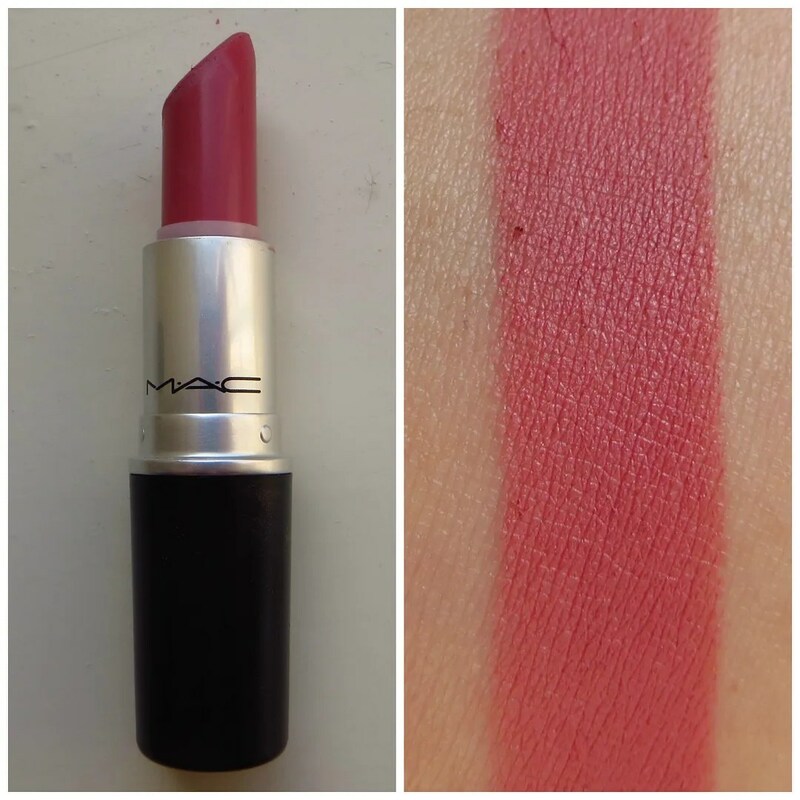 The only red in the collection is this darker berry shade. Because of the shimmer and shine to this color, it looks fresh and spring appropriate. When you wear this it looks more like you’ve made your way through a fresh basket of berries and that is actually a very pretty look! 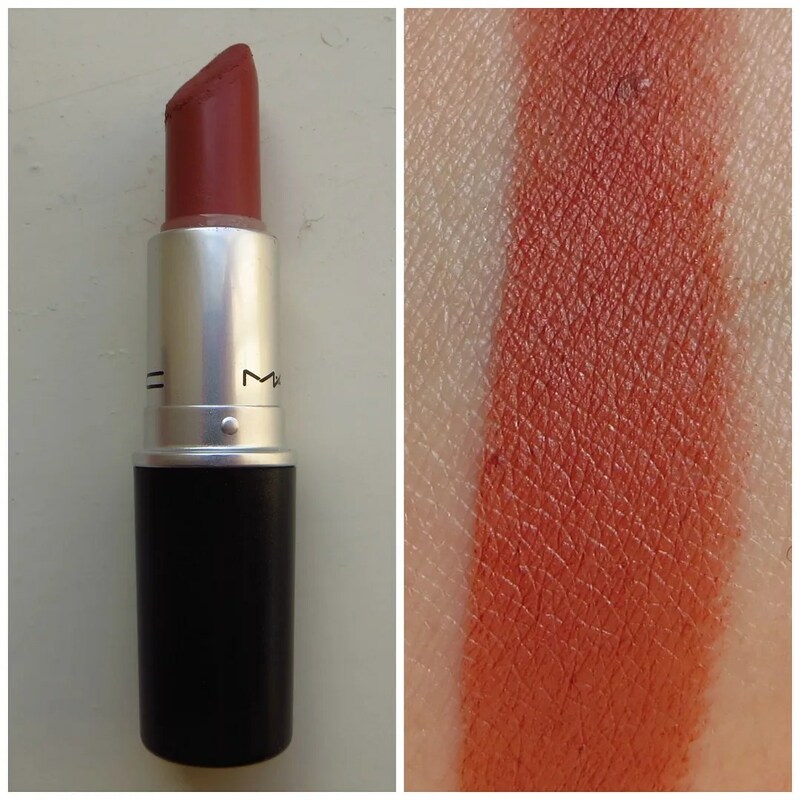 However, this is a shade that depending on how you wear it, can look dated fairly quickly. Swatches! 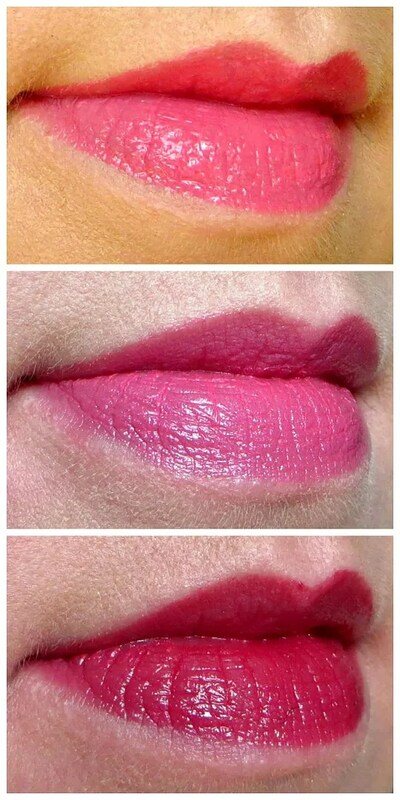 This shows nicely how shiny these lipsticks are. And as you can see: great color pay off as well. This is the first sheerer type of finish that actually works on my lips. 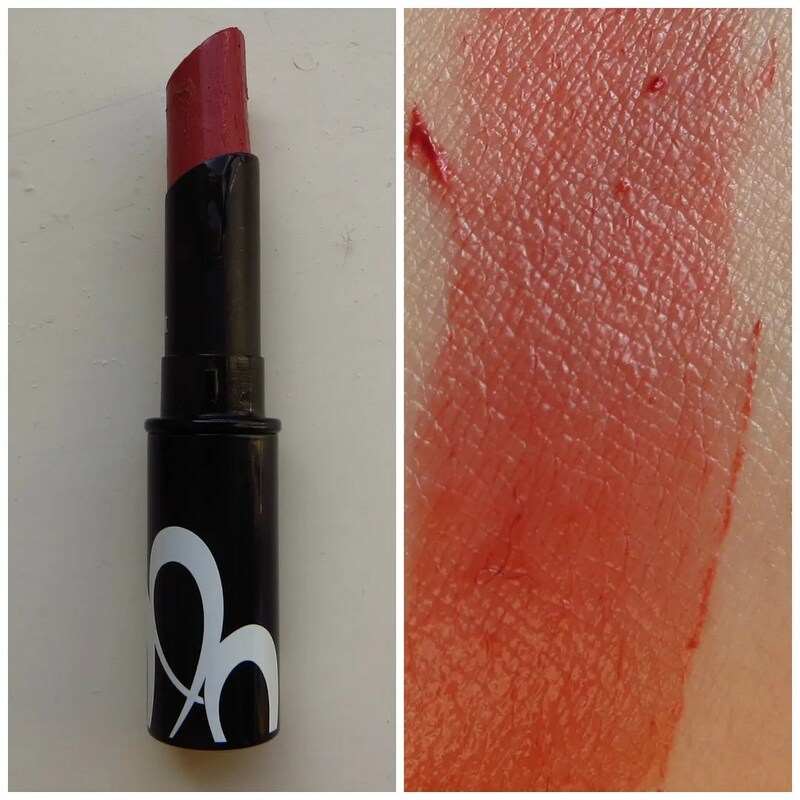 The texture is super creamy which makes chapped or dry lips disappear. 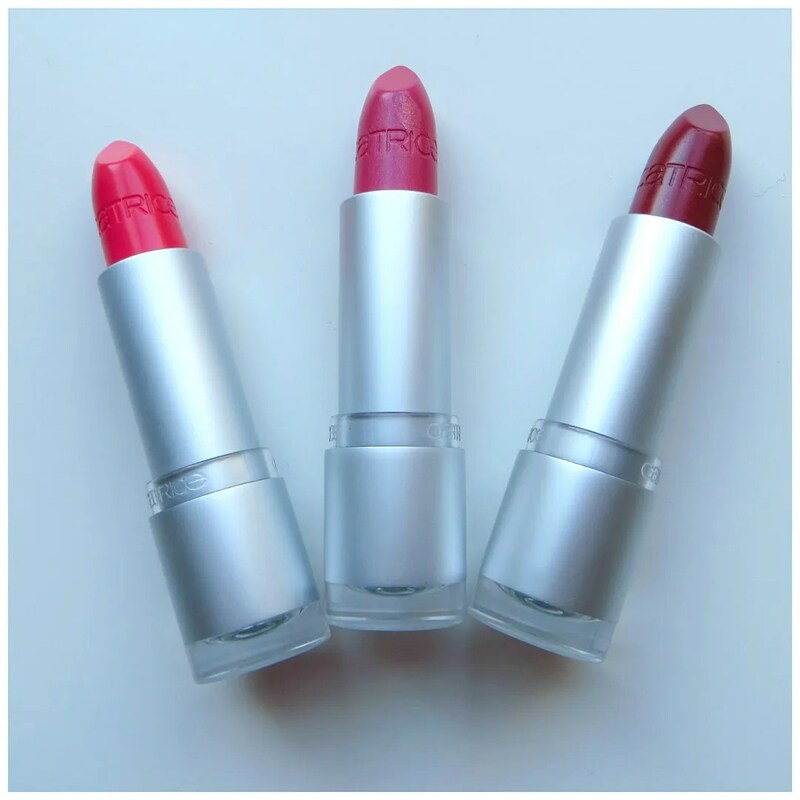 These lipsticks feel more like a lip balm than a lipstick. But in a way also a bit like a gloss as they feel a little bit tacky, but not sticky. Downside to that is that lasting power isn’t too great. These last for about 2 hours, but if you eat or drink a lot with these on they will disappear. In other words, these lipsticks will survive a snack but not a full meal. 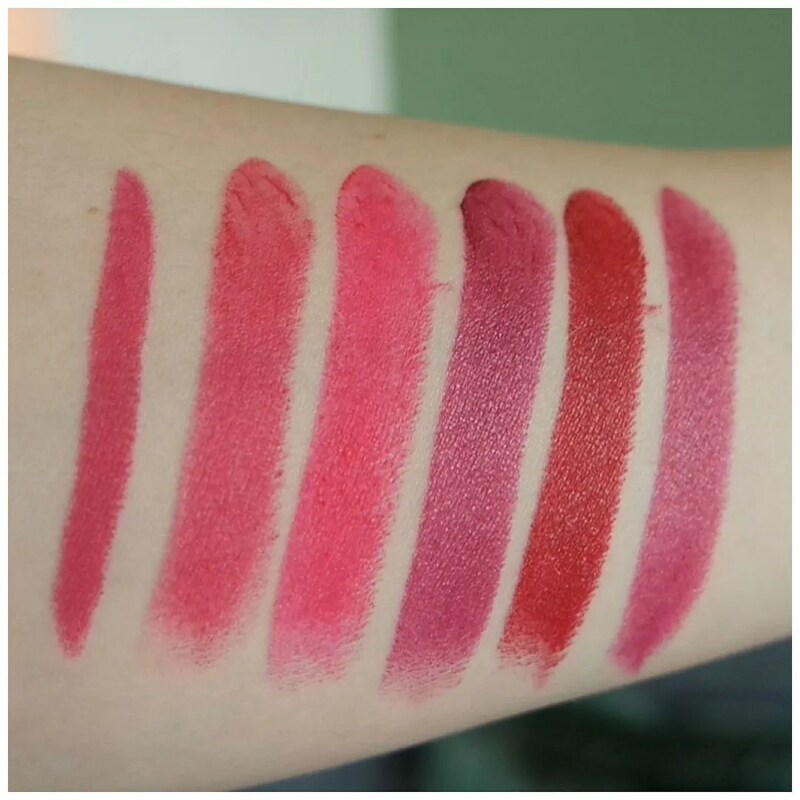 A lipstick review is of course incomplete without some lip and full face swatches. As you can see the two darker shades emphasize the fine lines in your lips, but that isn’t noticeable from a distance. That is mainly due to the shine, which makes your lips look full and juicy. 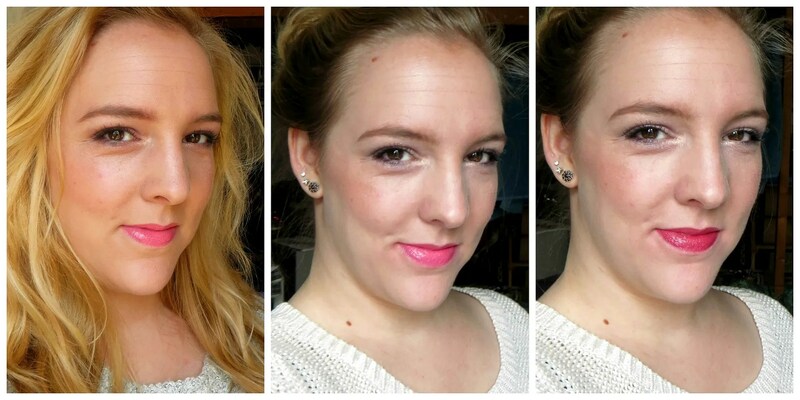 I think all three shades look flattering on me, but I think the two pink shades may be my favorites. Don’t Mind the Pink is a great lip color for spring and Me, My Macaron & I is actually a my lips but better type of shade for me. That was what I was hoping for, but the blue you see in the stick is completely cancelled out or complemented by my natural lip color. 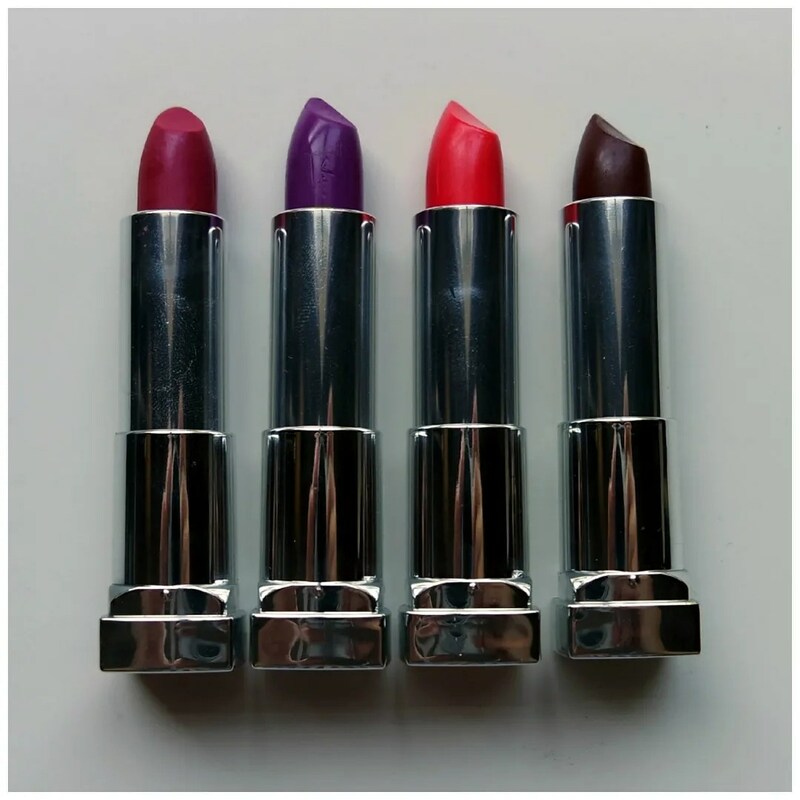 All in all, these lipsticks were a pleasant surprise to me in Catrice’s spring/ summer 2015 line renewal. I can highly recommend checking these out. 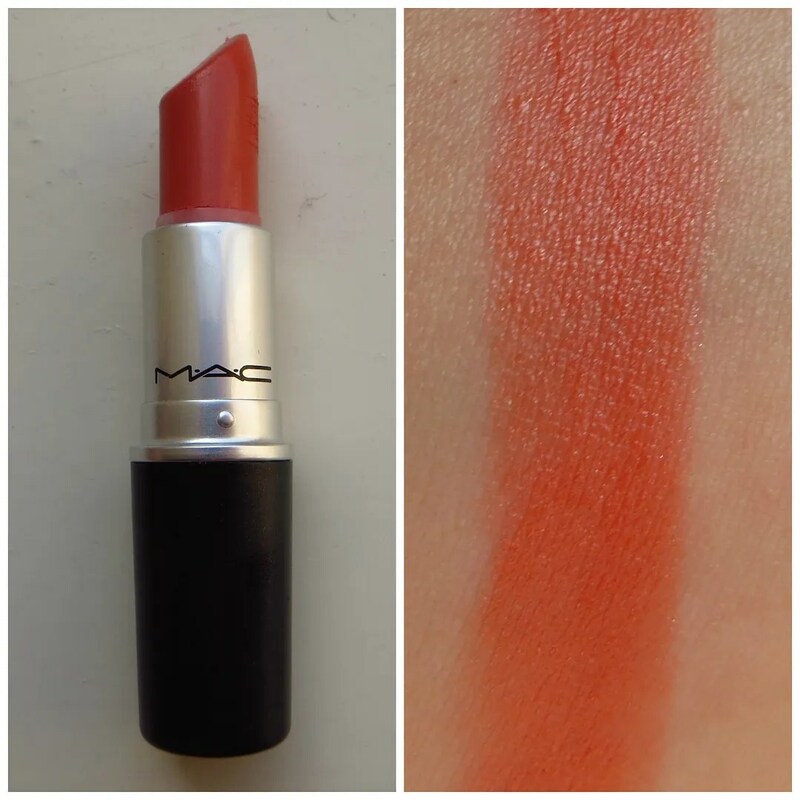 I also spotted a pretty apricot color that I think I will pick up when the buzz around these products has died a bit. 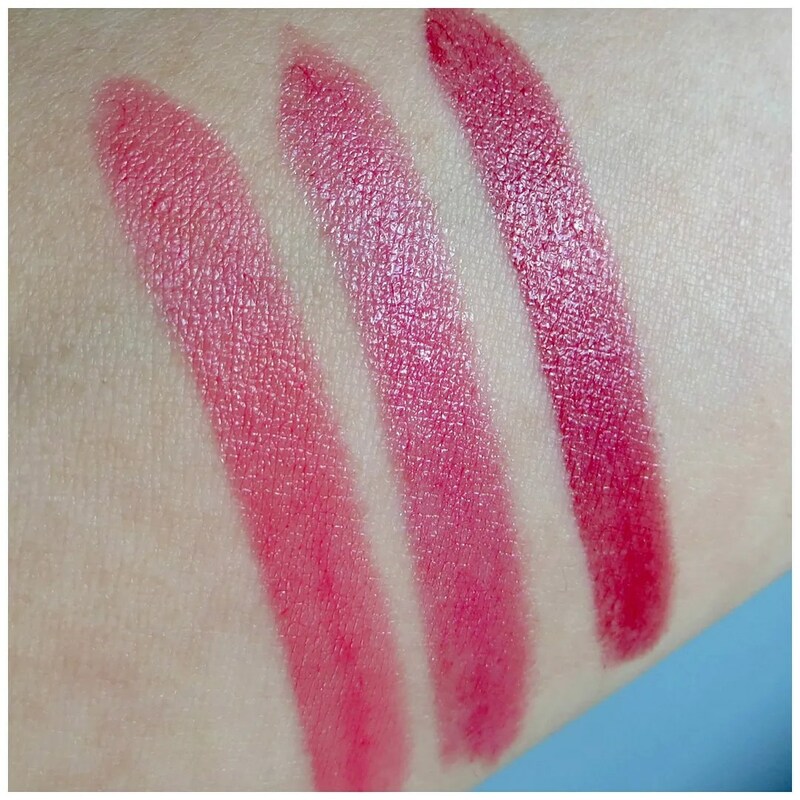 These are simply some great lip colors for spring and summer: they are shiny, the colors are super spring like and the creamy texture makes them comfortable to wear. 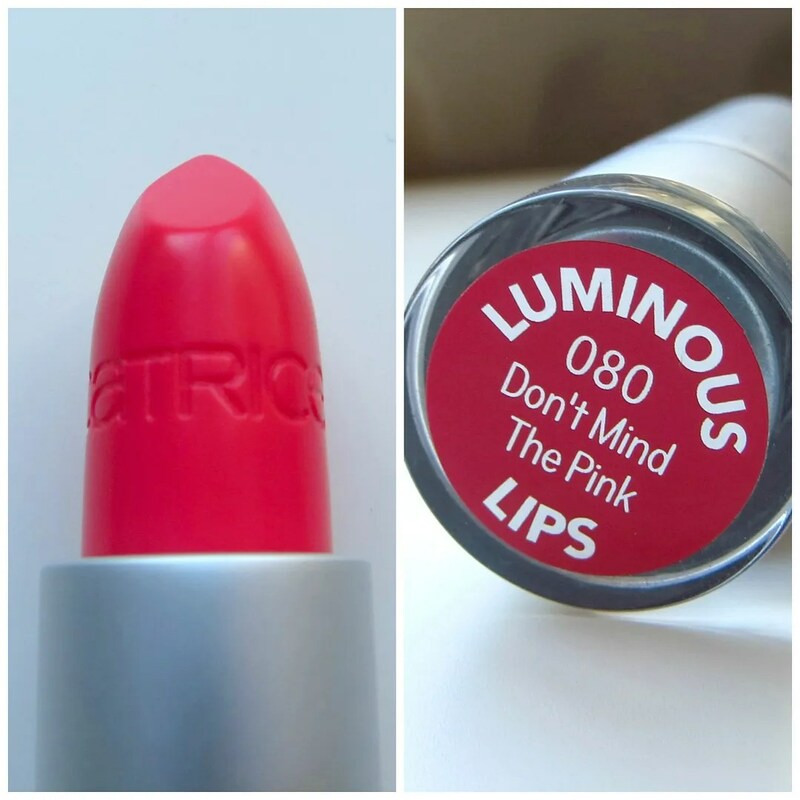 What do you think of the Catrice Luminous Lips lipsticks?